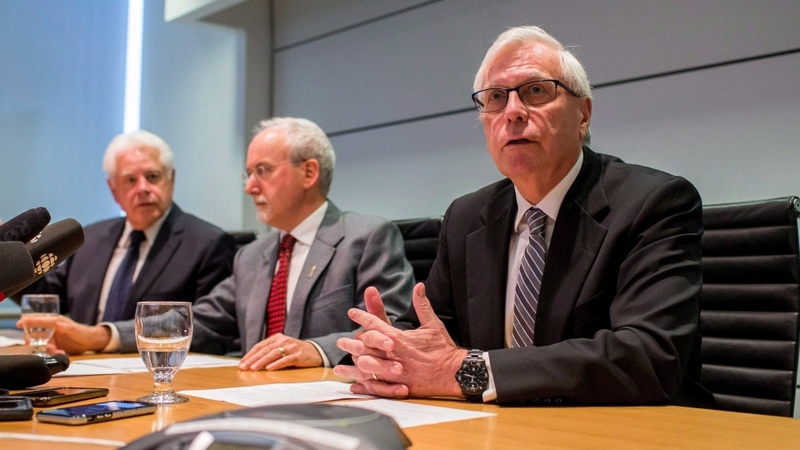 The two men at the centre of a bombshell report from the B.C. Speaker are responding to the allegations that raised serious questions about their spending. Craig James and Gary Lenz, clerk of the legislature and sergeant-at-arms, said in statements Thursday they'd both submitted their responses to the allegations. Thursday was the deadline for their submissions. Friday morning, three house leaders confirmed the receipt of those responses, and said they'd be reviewed with a "thorough consideration of their contents." Any decisions made on James' and Lenz's status will be made after the submissions are reviewed and taking legal advice into account. The statements provided few details, but both said they hope for fair treatment from the Legislative Assembly Management Committee. "I maintain, as I have all along, that I have not done anything wrong which justifies the actions that have been taken against me, or the unfair and prejudicial manner in which those actions have been taken," James said in an emailed statement. Lenz wrote that he responded to every allegation outlined in the report late month, and that he has committed no wrongdoing. "The negative impact this has had on me and my family is immeasurable," he wrote. "Over the past 13 years of service to the people of British Columbia, I have been ethical, honest, fiscally responsible, trustworthy and non-partisan. I have not acted in a manner unbecoming to the office of the Sergeant-at-Arms." James and Lenz were suspended in November following allegations of what the B.C. Speaker called "flagrant overspending." The allegations triggered an investigation by the RCMP, a probe by B.C. 's auditor general, and calls from critics for more transparency at the legislature. And in an exclusive TV interview, Speaker Darryl Plecas told CTV News he believes officials broke the law. "How could all of this go on without elected officials knowing? That's just not possible," he said. Earlier this week, the provincial government promised to implement major accountability and transparency reforms. Solicitor General Mike Farnworth said the province will work with independent watchdogs to ensure new rules to monitor officials are implemented.